Alofi is the capital city of the Pacific Ocean nation of Niue. 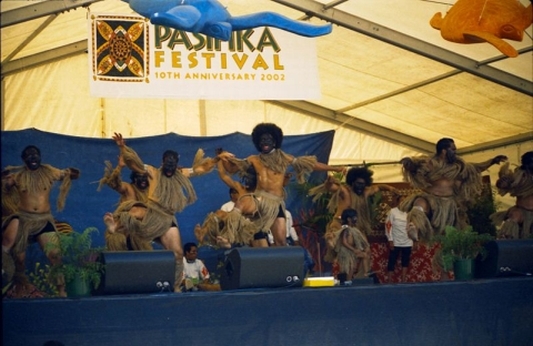 It has a population of 614 (census of 2001). 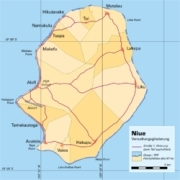 It consists of the two villages Alofi North (pop. 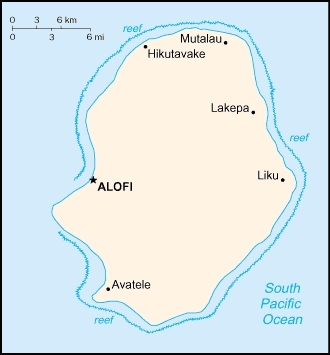 256) and Alofi South, where the government headquarters are located (pop. 358). 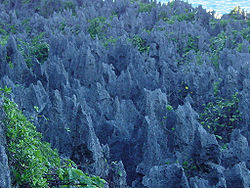 It is located at the centre of Alofi Bay on the west coast of the island, close to the only break in the coral reef that surrounds Niue. The bay stretches for 30% of the island's length (about seven kilometres) from Halagigie Point in the south to Makapu Point in the north. 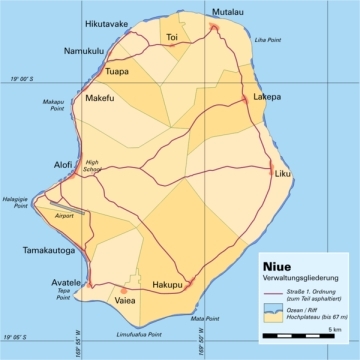 In January 2004, Niue was hit by the fierce tropical storm Cyclone Heta which killed two people and did extensive damage to the entire island. 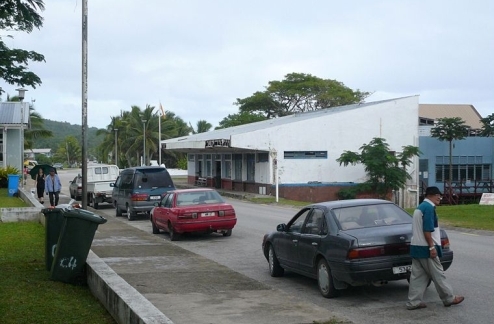 Many of Alofi's buildings were destroyed, including the hospital. Government buildings were shifted to a less exposed site 3 km inland from the west coast, named Fonuakula, after the storm. 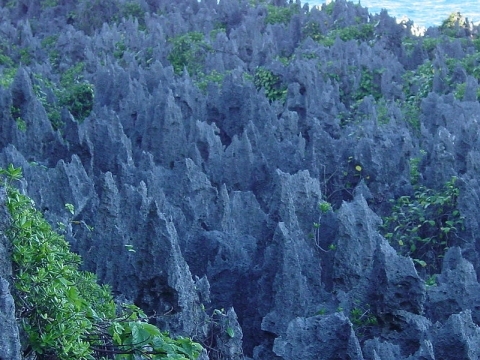 This site is still within the village boundaries of Alofi South. This page was retrieved and condensed from (http://en.wikipedia.org/wiki/Alofi) see Wikipedia, the free encyclopedia, July 2009.